Tesla has had some communication issues in China and sales have gotten dinged as a result, CEO Elon Musk said during a talk in Detroit Tuesday. Chinese customers, it seems, have been a bit wary of buying Tesla cars. "Things were a little weaker in China because of some communications issues, most importantly around charging," he said. "There was a misconception that charging was difficult in China." The main issue was that people, mainly in big cities, thought they would not be able to have a charger at home, Musk said. With some additional emphasis on educating customers, Musk said the problem is being resolved. Tesla's stock was down 8% in premarket trading Wednesday. Tesla shares, which rose nearly 50% in 2014, have been under pressure from falling oil and gasoline prices, as well as from news of upcoming electric car offerings from established automakers like General Motors (GM) and Honda (HMC). 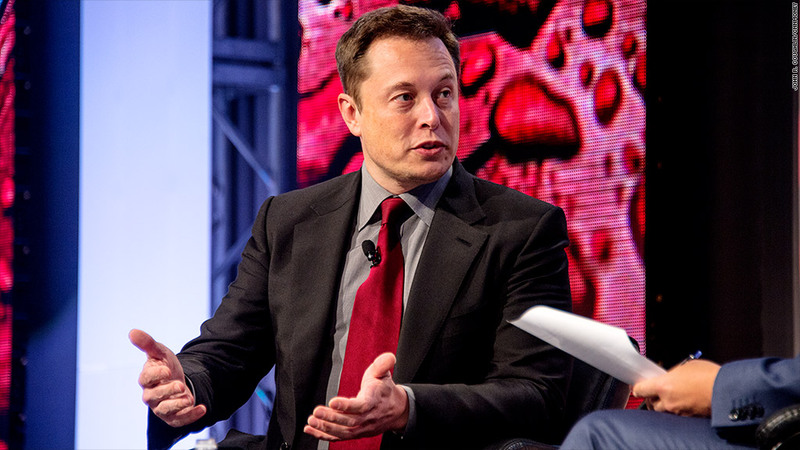 Musk spoke at the Automotive News World Congress in Detroit, an event that took place alongside the North American International Auto Show, better known as the Detroit auto show. At the end of August, Tesla (TSLA) told CNNMoney it was building 400 charging stations throughout China. 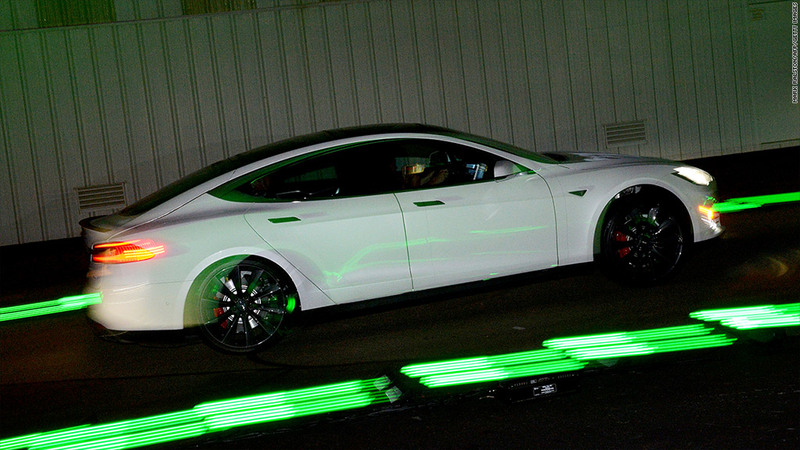 That figure included 20 of Tesla's high-speed Superchargers which allow for fast recharging. They're usually placed near major freeways. At the time, Tesla said it already had more than 200 charging points in China. Tesla is counting on Chinese sales to help reach its goal of selling 500,000 cars annually by 2025. The company plans to build a factory in China within the next three to four years, Musk has said. Despite the drop in sales Musk seemed unfazed, saying that Tesla sales were "surprisingly excellent" in Europe, more than making up for the dip in China. Tesla's Model S sedan costs around $115,000 in China. The car first went on sale there in the Summer of 2013.